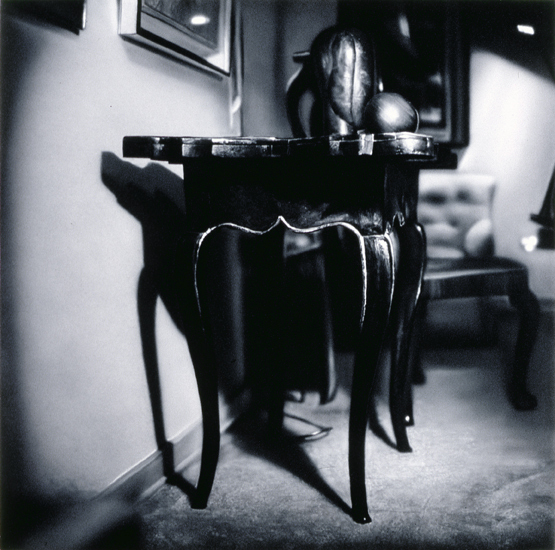 The use of black and white in painting, or grisaille, plays to the essence of light. Through this constraint, subjects present themselves as both compositions in space, as well as material for metaphor and symbol. Cromdale Wreck, 1980. 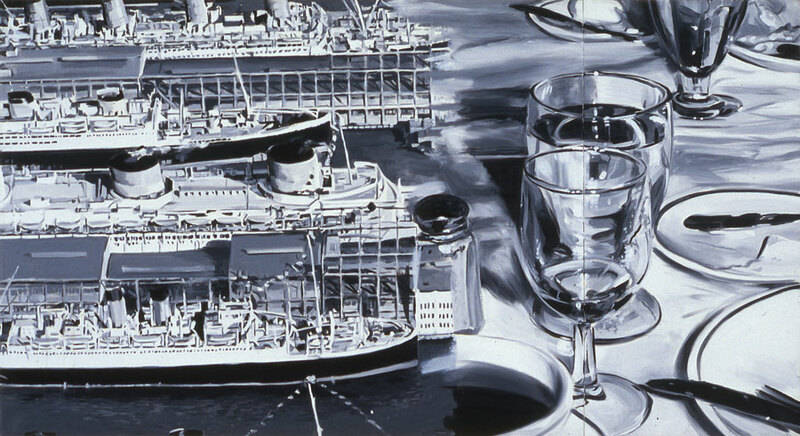 Oil on Linen, 84" X 72". From the Hot House, 1979. 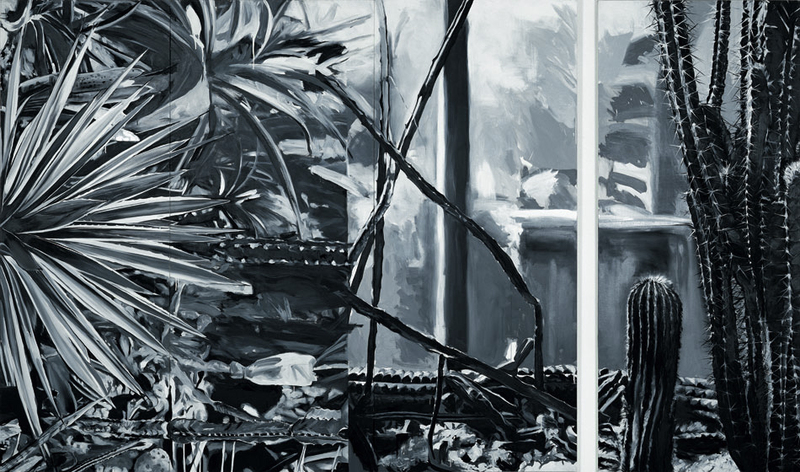 Oil on Linen, 84" X 144". 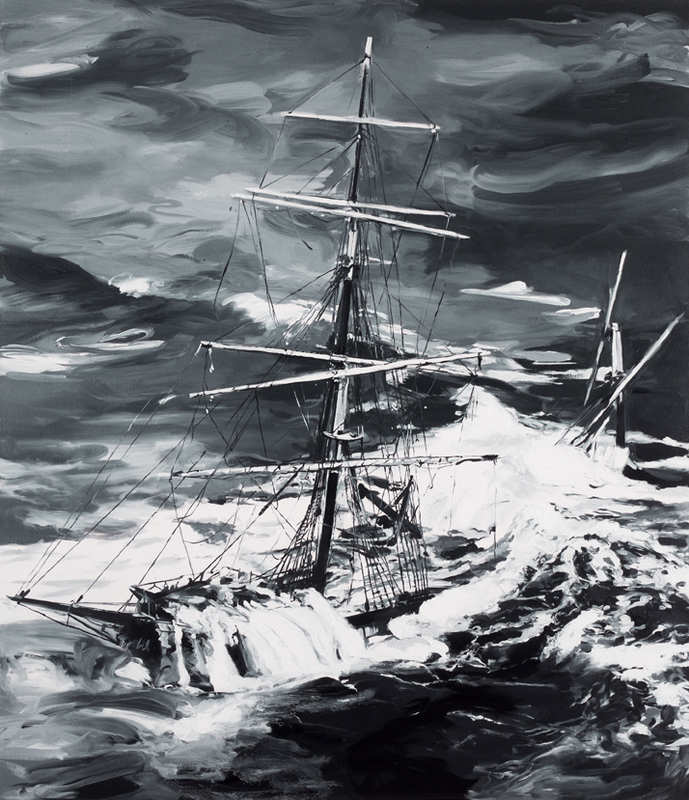 Cross Currents, 1979. Oild on Linen, 30" X 55". Men's Clothing, 1977. Acrylic on Canvas, 27" X 72". 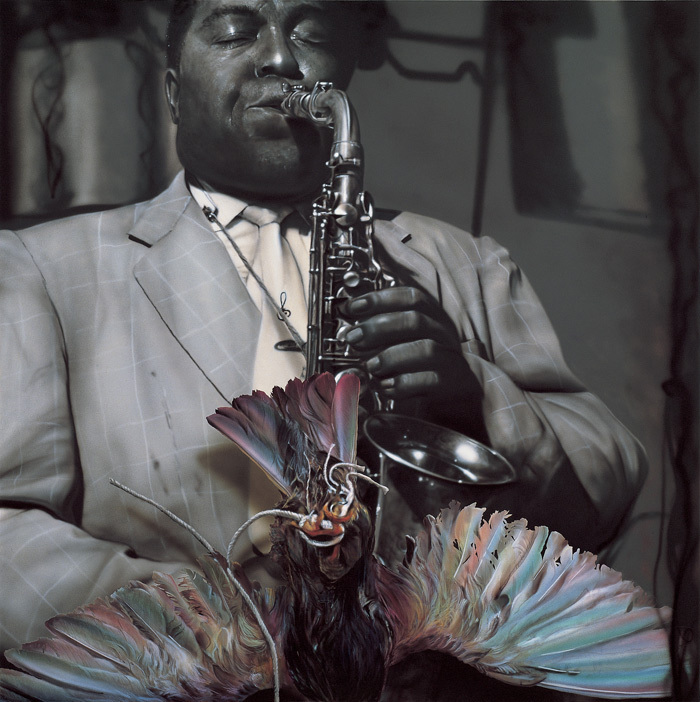 Charlie Parker / The Bird, 1977. Acrylic on Canvas, 48" X 48". 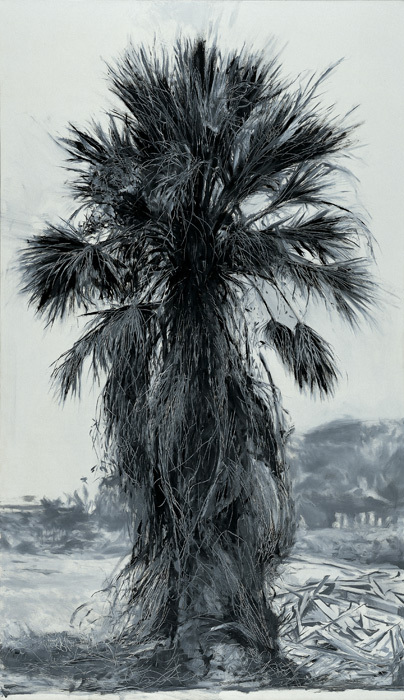 Shaggy Palm, 1977. Oil on Canvas, 84" X 48". Test Strip, 1976. Acrylic on Canvas, 108" X 36". Bergano's Table, 1977. Acrylic on Canvas, 36" X 36". 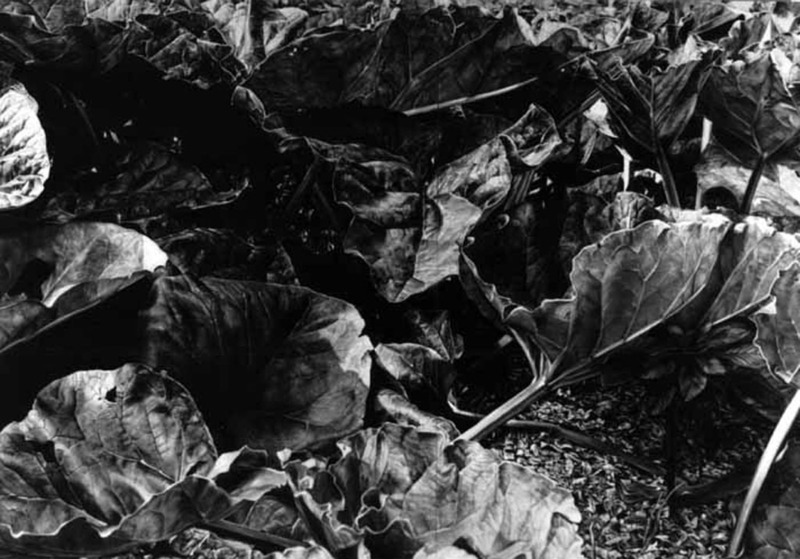 Greenery, 1976. Acrylic on Canvas, 72" X 108". 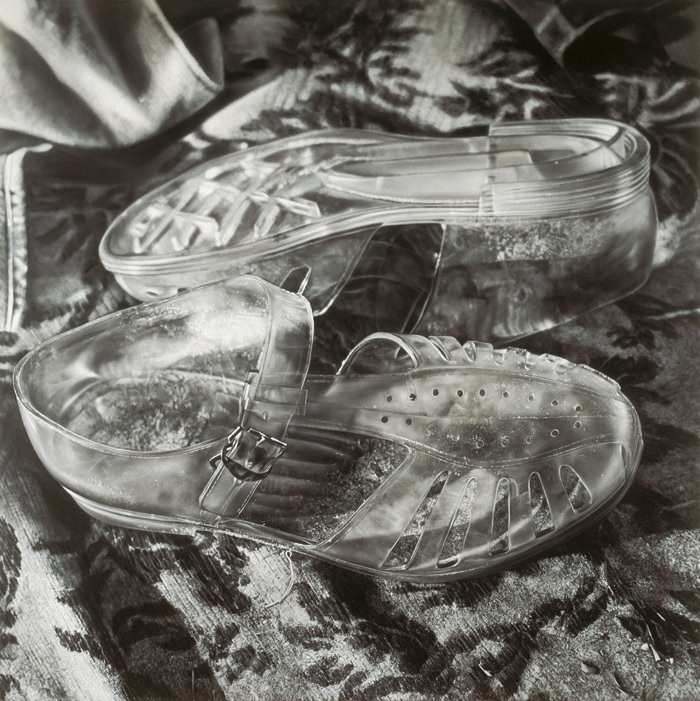 Clear Jellies, 1976. Acrylic on Canvas, 84" X 84". 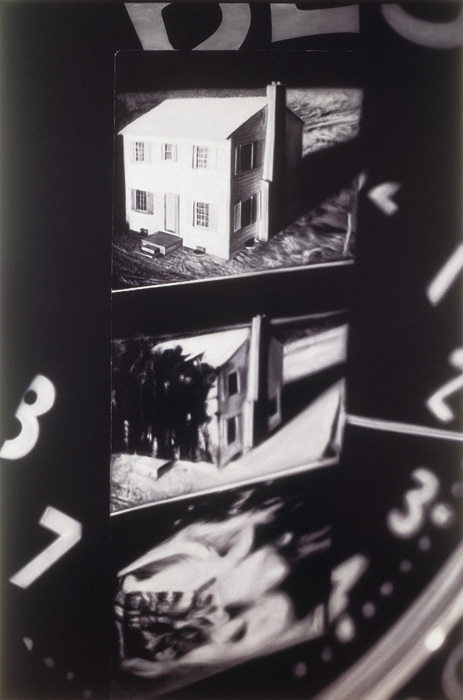 House, 1975. Acrylic on Canvas, 96" X 65". 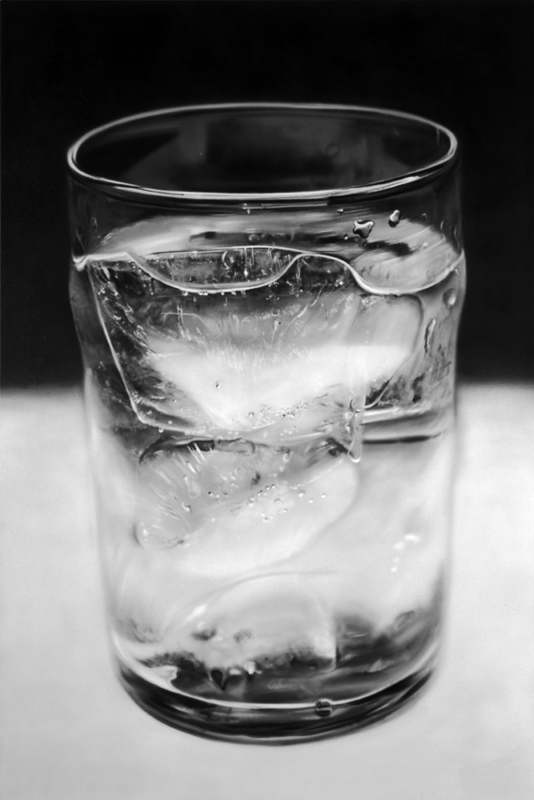 Ice Water Glass, 1973. Acrylic on Canvas, 72" X 42".